90% Full. Please read Notes on Fragrantica.com, Basenotes, etc..
No Spraying you can "sniff" the Cap though! 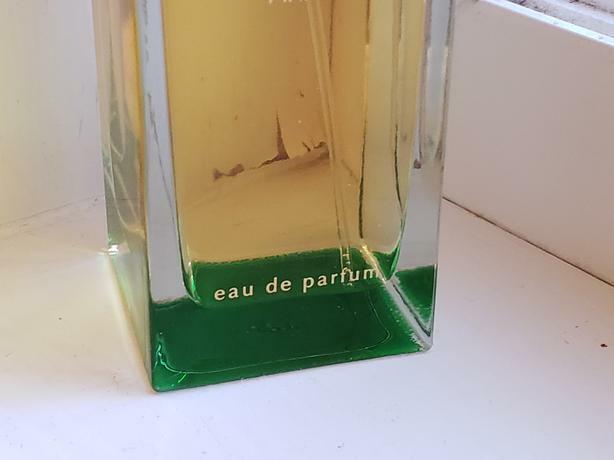 Large 100 ml size. 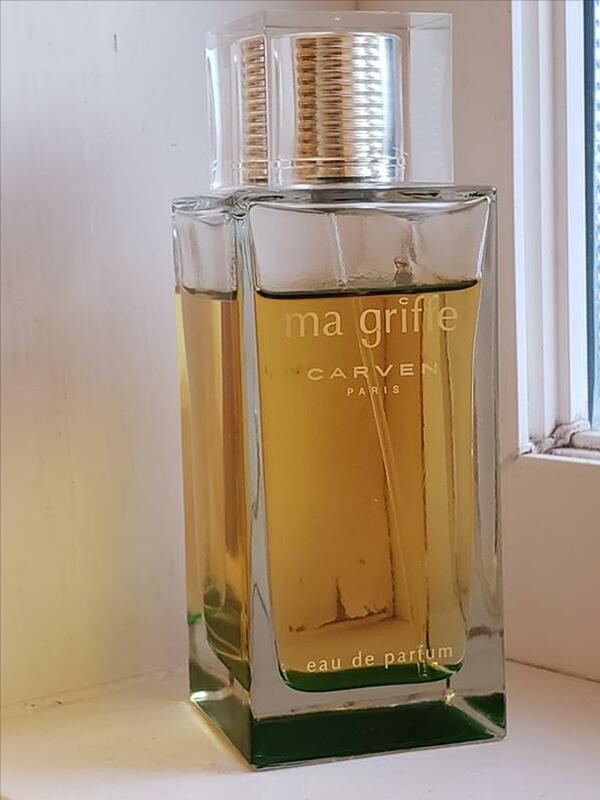 A light, "green"fresh scent, no "old lady smell", this Scent starts as a Green, Fresh Scent, then deeper and softer, with a surprise of different flowers from time to time as your day carries on. The Original scent had a direct tie to the classic film "The Big Sleep". A movie full of of every variance of "Femme Fatale"! This is the 21st century version, light, fresh as being in a Forest after the rain. 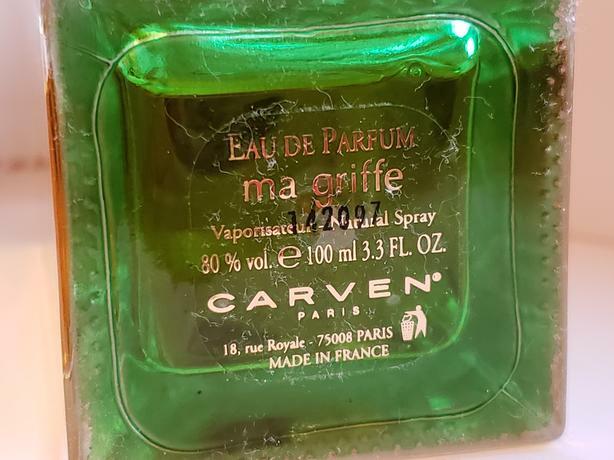 From the famous Perfume House of Carven.